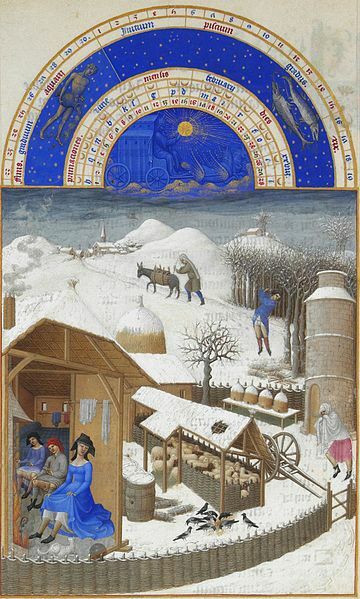 Très Riches Heures du duc de Berry Folio 2, verso: February. Artist: Limbourg brothers (1385–1416). Why does February have only 28 days? Why does this one lonely month remain truncated while the other 11 months bask in the fullness of their 30 or 31 days? We have to go all the way back to antiquity to find the answer to this puzzling question. Did you celebrate the New Year with fireworks and champagne this year or did you take a polar bear plunge into a freezing body of water? No matter how you celebrated, you probably did it on January 1st. While there are many different cultural celebrations of the New Year, our globalized world generally agrees that the New Year starts on January 1st. It may seem common to us now, but this date was not always standard.